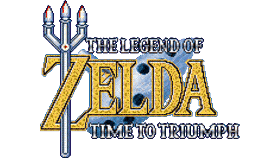 [PSVita] Zelda – Time to Triumph v1.3.1 Released » Brewology - PS3 PSP WII XBOX - Homebrew News, Saved Games, Downloads, and More! usineur has released Zelda – Time to Triumph version 1.3.1 for the PSVita. - Fix more crashes and freezes. The port seems to be very stable now. - Imgui settings can now be saved and reloaded. Download Zelda – Time to Triumph from the Brewology PSVita Store.